First you need to invite everybody! 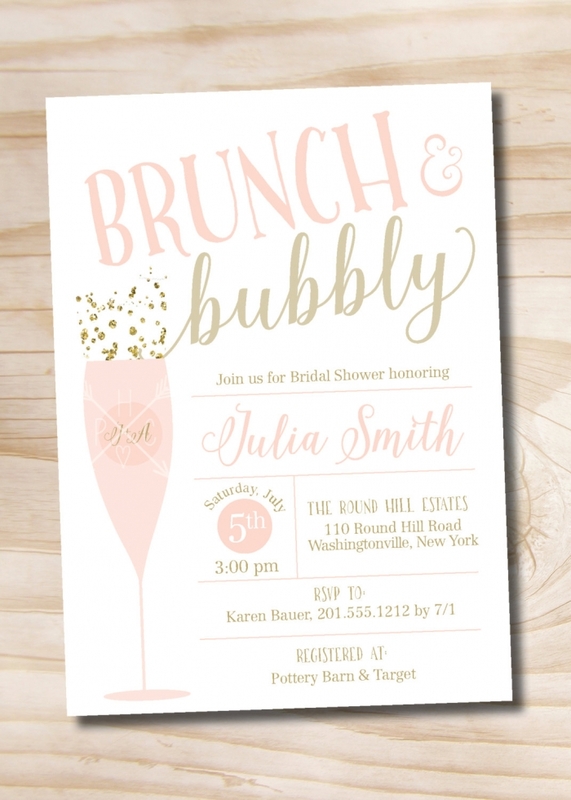 These timeless invites from PaperworkEnvy will do the trick. We love the color scheme! 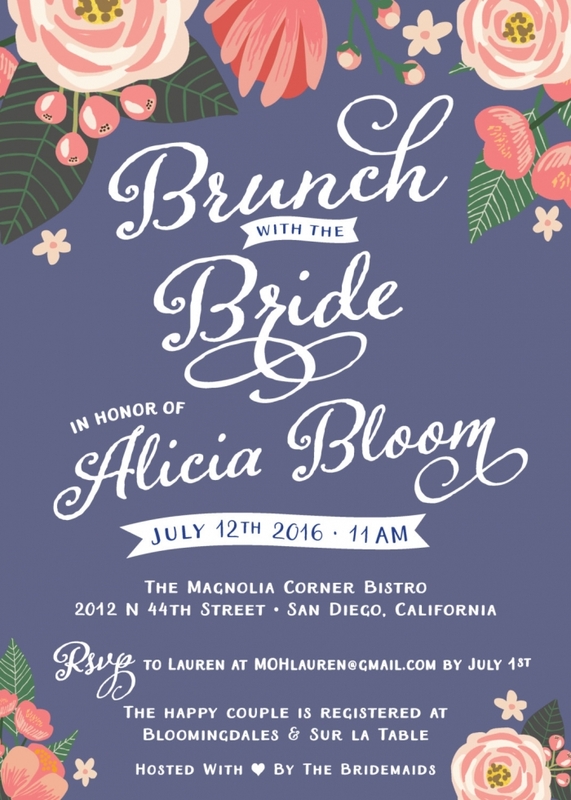 Your guests will be delighted to receive these fun invites from AcetiDesignCo. 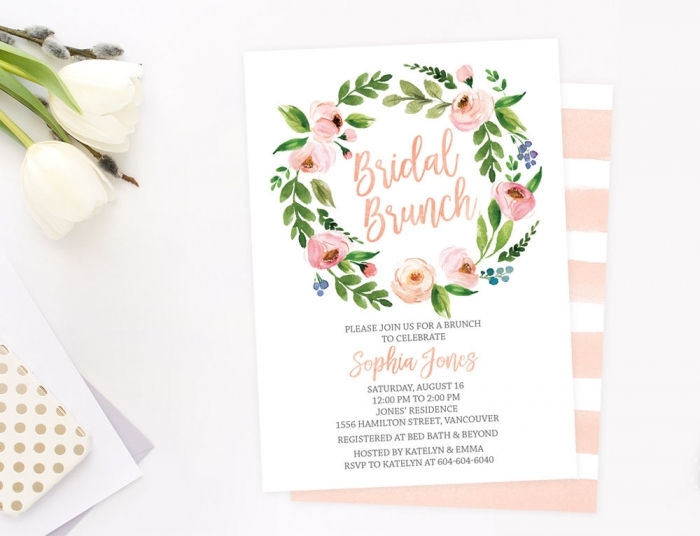 Sweet and pretty, you can’t go wrong with these printable peach invitations from littlesprinklestudio. 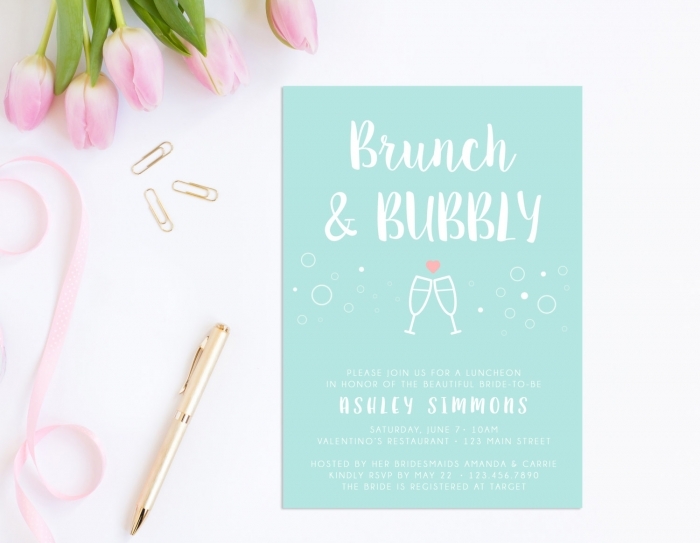 These Brunch and Bubbly invitations from PaperHeartCompany are as pretty as it gets! What’s a party without some games? 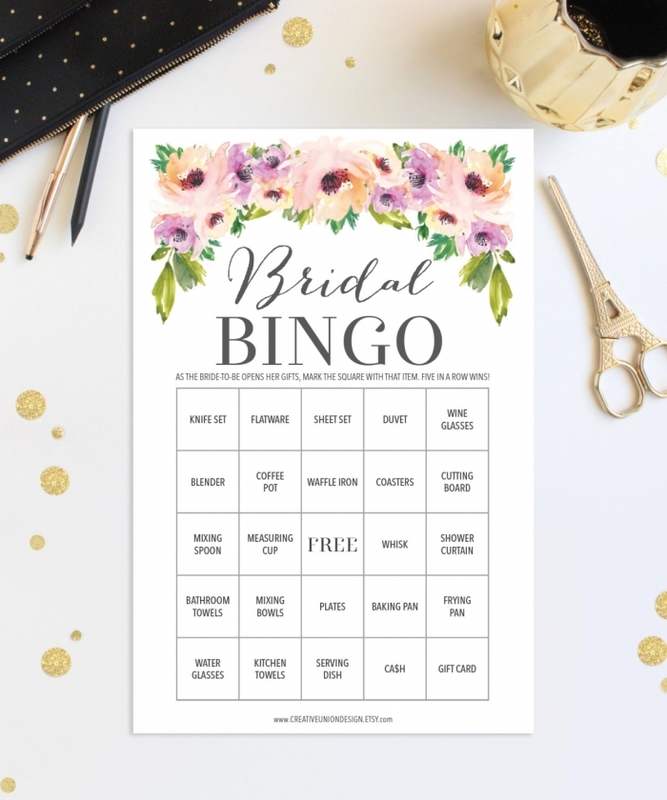 Who doesn’t love a game of bingo? This set of printable bingo cards from CreativeUnionDesign is beautifully designed. 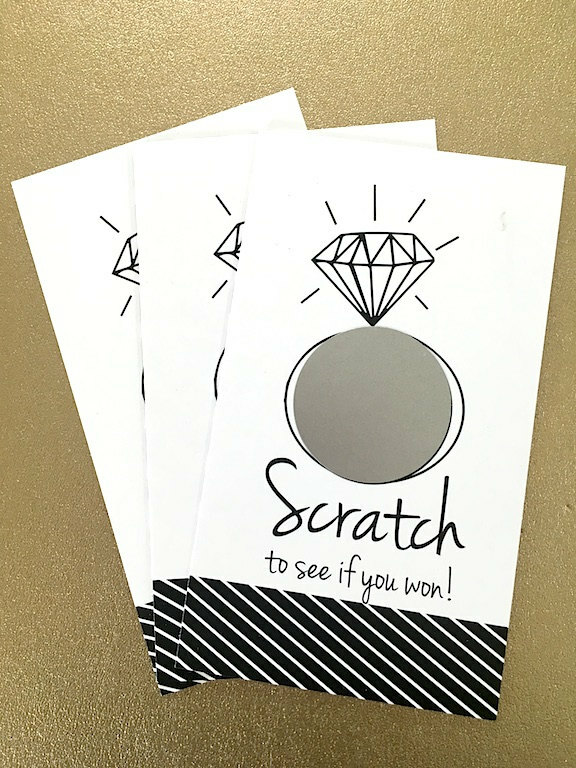 Get your brunch off to an entertaining start with these scratch off game cards from janetmorrin. 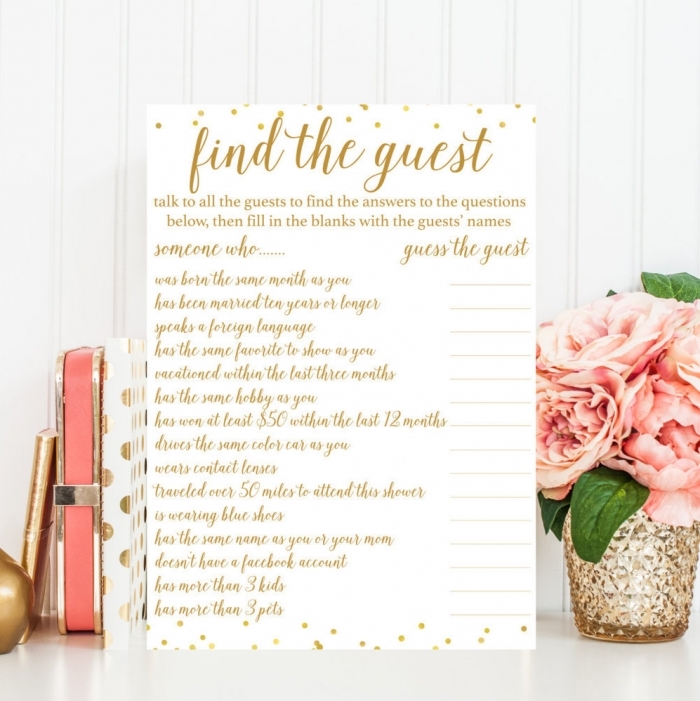 If you’re inviting people from different circles of friends, this “find the guest” game from PrettyCollected is a great way to get everyone acquainted. Put your guests’ drawing skills to the test with this hilarious “perfect husband” game from BlissPaperBoutique. Cute signs can really dress up a space! 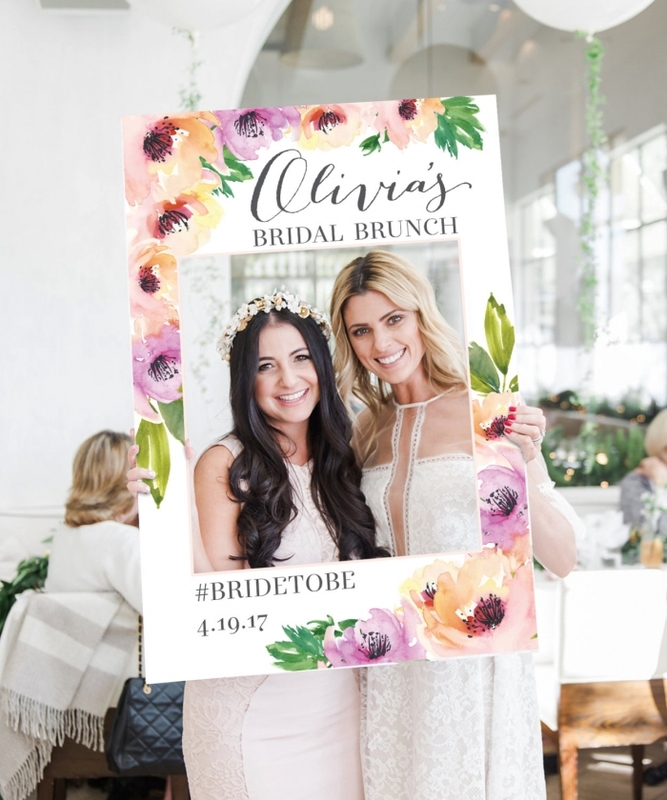 This floral bridal brunch prop from CreativeUnionDesign will encourage everyone to participate in the photo ops! 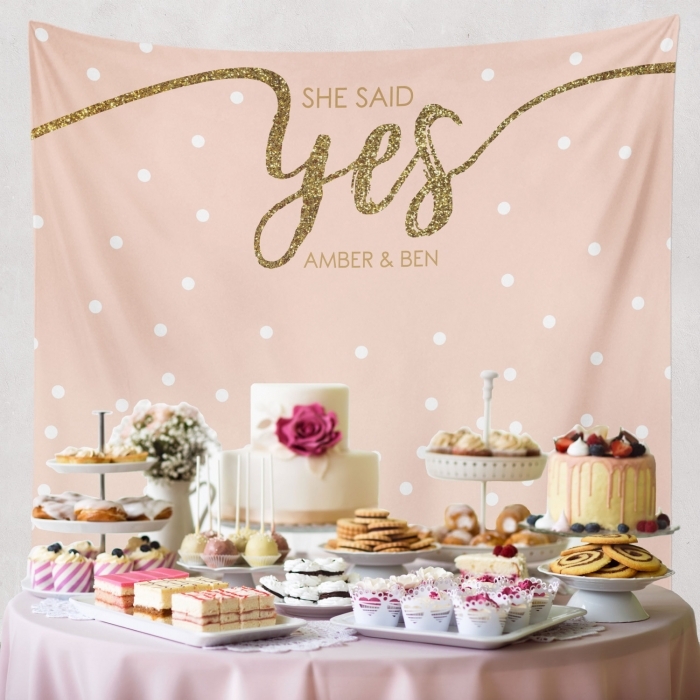 Whether it is used for photo shoots of for dressing up your dessert bar, this lovely blush and gold tapestry from PaperRamma is truly unique! 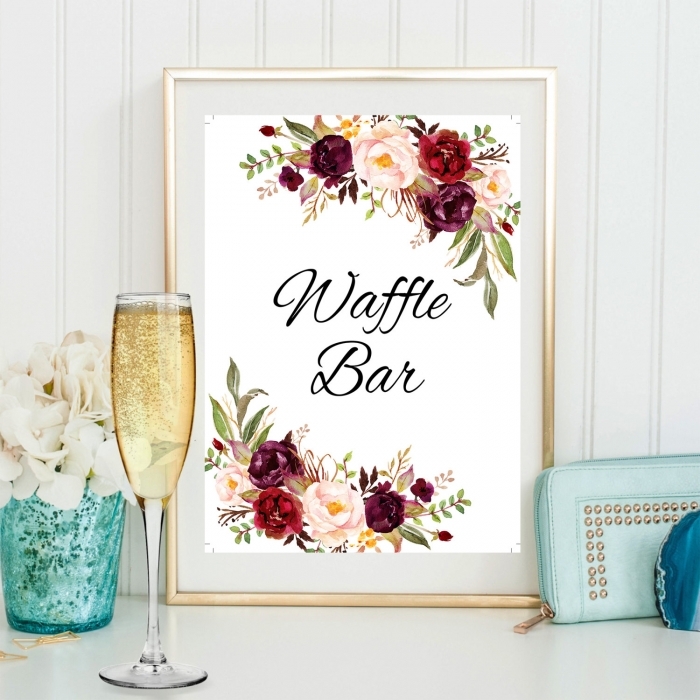 Your brunch would not be complete without a waffle bar! This pretty sign from NancyBadilloBoutique will match your display wonderfully. 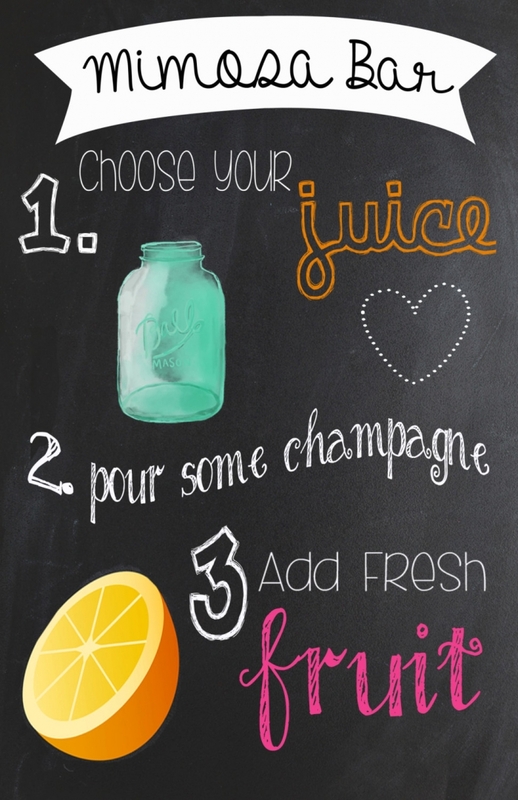 Brighten up your mimosa bar with this chalkboard sign from amira143. Now for your table settings. 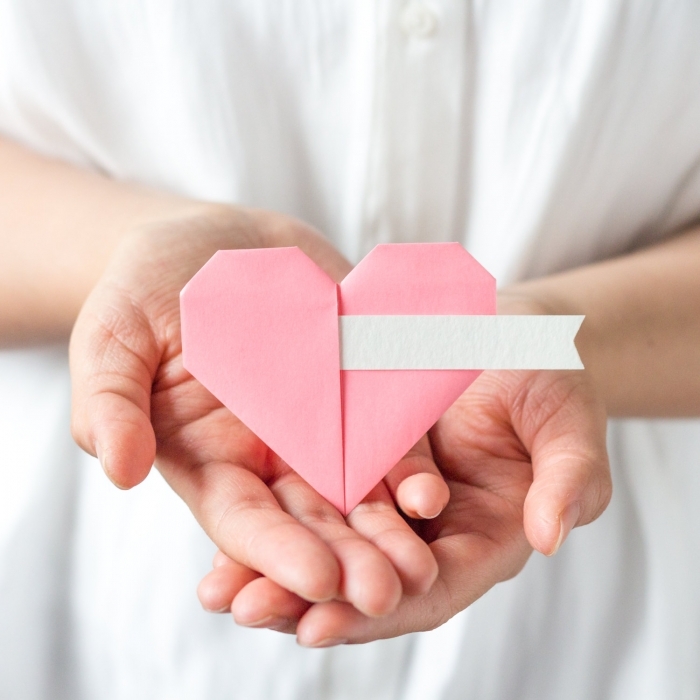 Add a personal touch to each place setting with these origami pastel pink heart place cards from NANAZOOLAN. 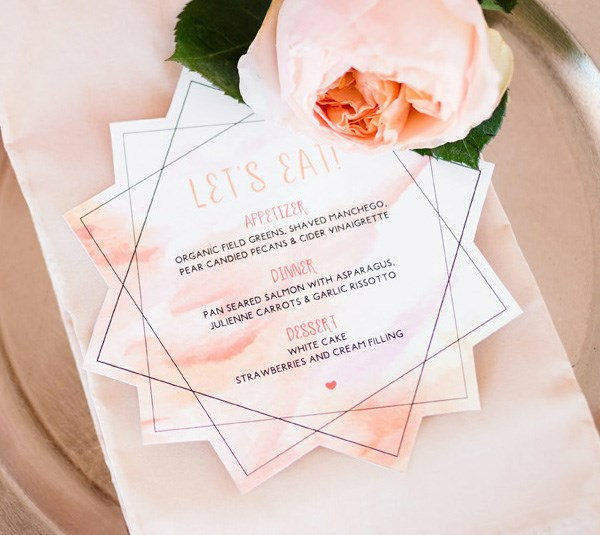 These whimsical blush menus from ThePartyShoppeCA are a compliment to the amazing food that will be served. 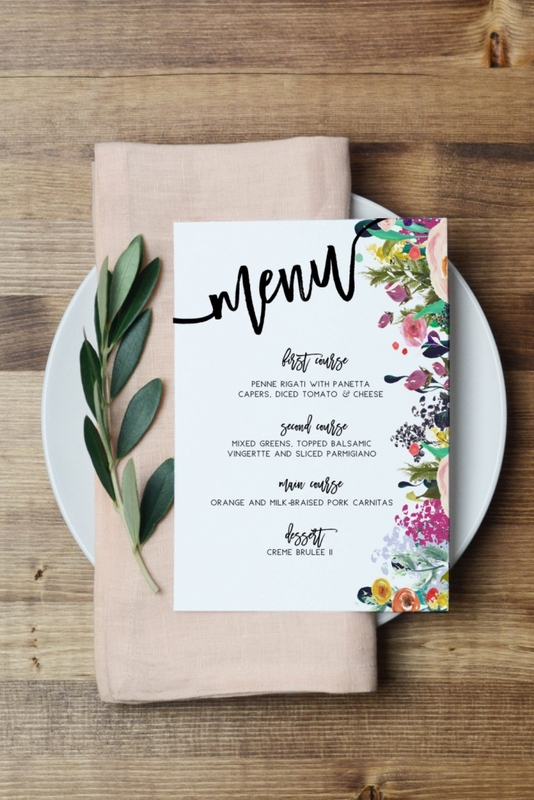 Bright, colorful and very chic, these floral menus from WishfulPrinting look like they are from a five-star restaurant!